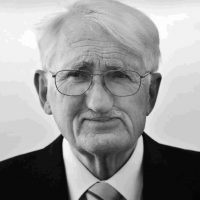 Jürgen Habermas is a German sociologist and philosopher noted for his work on the ‘public sphere’. The ad-hoc solutions put forward by European leaders have failed to pull the continent from its economic crisis. As uncertainty continues, it is clear that only a decisive shift to a strong, democratic EU can save the Euro and guarantee the Union’s future. However this process must take place in a way that is open and transparent if it is to succeed.